Fill in Lines and Wrinkles or Plump Up Your Pout With Juvéderm. 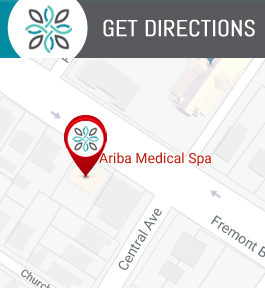 Ariba Medical Spa Is Located Near You in Fremont, CA. Contact Us Today for More Information or to Schedule an Appointment. We are Conveniently Located Near You at 37553 Fremont Blvd, Fremont, CA 94536. As you age, your face may not look as firm and full as it did when you were younger. Using Juvéderm® dermal fillers, Dr. Tariq Mirza and his trained staff at Ariba Medical Spa in Fremont, California add smooth, natural-looking volume to your face in just one quick treatment. Call or schedule an appointment online to restore a youthful-looking appearance with long-lasting Juvéderm treatments. Juvéderm dermal fillers contain a hyaluronic acid gel that can be injected into your cheeks, lips, and around your mouth to give you a younger-looking appearance. Hyaluronic acid helps your skin stay moist, soft, and full. As you age, you lose fat and collagen (a protein) in your face. This can make your face look sunken and increase the appearance of wrinkles. FDA-approved Juvéderm fillers replace the fat, helping you enjoy firmer cheeks and fuller lips. They can also reduce the appearance of wrinkles around your mouth by adding volume beneath your skin to smooth out folds. When injected by trained professionals, Juvéderm provides subtle, smooth results to improve your appearance. It can be used alone or in combination with other cosmetic treatments, such as Botox, to create a natural, younger-looking appearance. What should I expect during Juvéderm treatment? The trained professionals at Ariba Medical Spa help you experience minimal discomfort during your treatment. Depending on which area of your face is treated, your appointment may take anywhere from 15 minutes to an hour. You will only need one treatment to see results. You should experience little pain during treatment. However, your technician may apply numbing cream to your face to help ease any discomfort. The Juvéderm injections also contain lidocaine, which helps numb the pain. What should I expect after Juvéderm treatment? After your treatment, you have no downtime. You can immediately enjoy results of your treatment as you return to your daily activities. You may have redness, bruising, or soreness where Juvéderm was injected. You may also experience minor swelling that should go away within two weeks. You should continue seeing natural-looking results for up to two years. You can repeat your treatment to maintain results or even receive “touch-up” injections every few months. Juvéderm treatments provide subtle, long-lasting results that enhance your natural beauty. Call or book an appointment online to make immediate improvements to your appearance.